West Fork Towing Service offers Towing and Wrecker Service in West Fork. West Fork towing company offers exceptional and affordable towing services throughout West Fork, AR. This includes all areas of Washington County. We are fully equipped to handle all of your towing needs. We have up-to-date equipment and tools. Our team is fully trained and highly motivated. Each of our team members/tow truck drivers goes through extensive background checks and training as part of the hiring and on boarding process. When you call West Fork Towing Company at 479-202-6593 you will receive outstanding customer service. We take pride in the service we give to each customer. And we will do everything we can to make your difficult situation a little less frustrating and a lot less costly and time consuming. That’s because from the moment you call we are committed to getting to your location as quickly as possible. 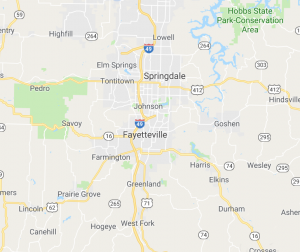 We can pick-up and deliver in any city and neighborhood within a 25 mile radius of Fayetteville, AR. Just let us know where you’re needing towed to. We’d be glad to provide fast towing to your home, your mechanic or another location. Just let us know. We’re here to serve you!